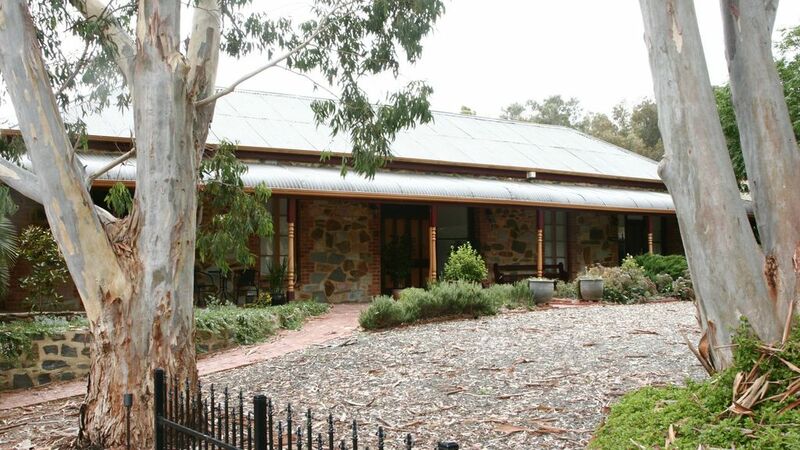 What was the old General Store in the quaint Barossa village of Marananga is now three separate self contained BnB suites. Each features a queen bed, all modern appliances and renovated bathrooms. Molly’s is the largest of the three available suites. It has a fully equipped kitchen, gas fire, air conditioning, separate lounge and bedroom (queen size) areas. The bathroom has a luxurious claw foot bath and spacious shower. Laundry facilities are available. Whichever Cottage Suite you choose, provisions are left for you to self prepare a Continental breakfast. Where possible, provisions are sourced locally and may include a selection from ham and cheese croissant, cheese plate,fruit, yogurt, tea, coffee, biscuits and other goodies. Stay two nights or more and enjoy a complimentary bottle of our own Greenock Creek Wines Barossa red wine. Your cottage is fully air-conditioned for year round comfort - no messy fires here. The wide veranda or courtyard at the back is a great spot for breakfast or afternoon drinks and nibbles. Perfect Western Barossa location where you can walk to four wineries, our own Greenock Creek Wines Cellar Door is adjacent, Heritage and Tscharke's is just up the hill while Two Hands is down the valley. Please note - minimums apply to events and long weekends. Prices are based on a couple sharing 1 bed. Location - the Barossa is just perfect with wineries, vineyards, cellar doors, restaurants, farm gate food outlets, views, National Parks, walking trails, safe and friendly community - that is why we live here! Strict cancellation policies apply. Cancellations notified more than 28 days prior to the booking will incur a $50 (incl GST) cancellation fee. Cancellations notified 28 days or less and more than 14 days prior to arrival date may receive a partial refund once a replacement booking of equal or greater value is confirmed. Cancellation 14 days or less prior to the arrival date will forfeit all monies paid. Any other changes to booking dates will incur a $50 amendment fee. No changes may be made less than 14 days prior to the arrival date. Marananga Cottages is part of the Cottages4u group. Cottages4u is a group of long standing BnB cottage operators who have a proven track record in the local industry. Established in 1997, the group understand what our guests are looking for and provide the best value for money, with an emphasis on Cleanliness, Quality and Facilities. You can trust these establishments to provide the best local experience. Has everything you need and some nice extra touches besides.